Sweetly pungent, gently roasty. Scorched cedar, dark chocolate, plum, lavender, lime zest in aroma and cup. Complex in structure: sweetly tart with a roasty, savory depth. Light, satiny mouthfeel. Lemon zest, dark chocolate, plum carry into a rich though drying finish. Despite grower discontent and urban encroachment on prime coffee lands, Kenya continues to produce some of the world’s most elegant and distinctive coffees. 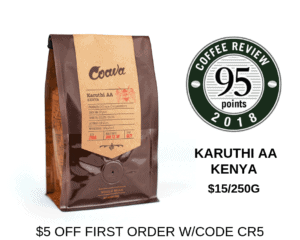 This coffee is the result of a partnership between the Othaya and Aguthi Cooperatives and Royal Coffee, intended to create a methodology for isolating and enhancing the highest quality coffees coming from these cooperatives. Produced from trees of the SL28, SL34, Ruiru 11 and Batian varieties of Arabica. 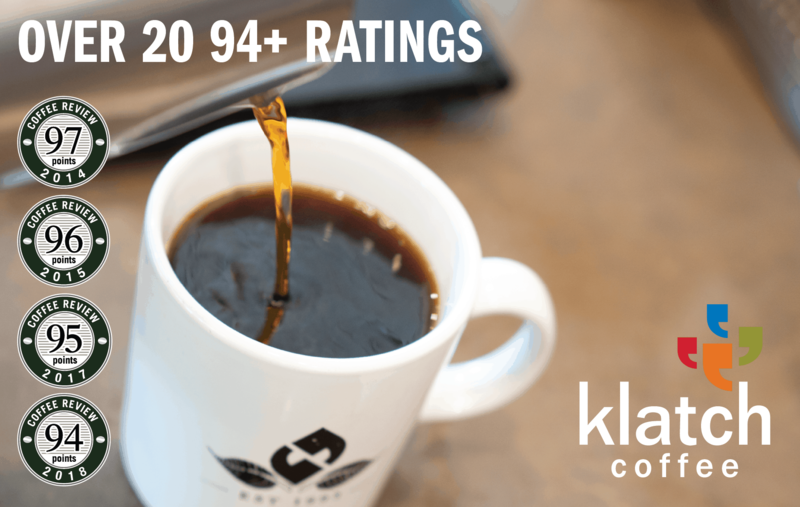 AA is the highest grade of Kenya coffee based on bean size and freedom from physical imperfections. Jackrabbit Java selects the finest coffees from around the world and roasts them in Thermopolis, Wyoming’s mountain air. All Jackrabbit Java coffees are specialty-grade and roasted to order. Visit www.jackrabbitjava.com for more information. The Bottom Line: A darker roast develops a savory-toned chocolate to complement a zesty citrus in this pleasingly contradictory Kenya.